Zlatan Ibrahimović and Paul Pogba are ruled out. Marcos Rojo and Luke Shaw in travelling squad. Sport Lisboa e Benfica, commonly known as Benfica (and nicknamed Águias: Eagles or Encarnados: Reds), is a Portuguese football club based in Lisbon, Portugal - playing in The Primeira Liga on the domestic level. Benfica was ranked twelfth in the FIFA Club of the Century, and ranked ninth in "Europe's Club of the Century" by IFFHS. As of the end of the 2016–17 season, Benfica is ranked ninth in the UEFA club coefficient rankings – the best position of a Portuguese club – and has the second most participations in the European Cup/UEFA Champions League. The club was founded in 1904, under the name of Sport Lisboa; the same year, they merged with Grupo Sport Benfica and changed their name to Sport Lisboa e Benfica. Shortly after the Portuguese league was officially formed in 1934, Benfica emerged as its most dominant team, clinching three consecutive titles from 1936 to 1938. By the end of the 50s, their trophy cabinet was home to 9 Primeira Liga titles and 10 Taça de Portugal trophies. It was, however, in the '60s where Benfica started making a name for itself on the European stage. Led by the incredible Eusébio and Coluna, Benfica were the first team to halt Real Madrid's streak of five consecutive European Cup victories, claiming the trophy for themselves in 1961. 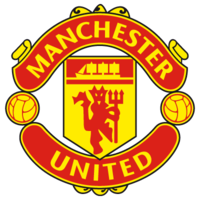 They repeated as champions the following year, while also making three more finals throughout the decade - most notably against Matt Busby's Manchester United at the Wembley Stadium in 1968. 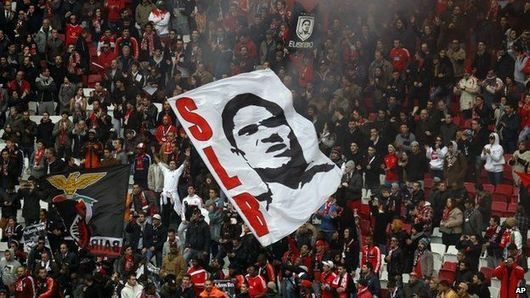 Domestically, Benfica destroyed the opposition and stormed to 8 Primeira Ligas and 3 Taça de Portugals by the end of the decade. In 1965, Eusébio made history by becoming the only player to win a Ballon d'Or while playing for a Portuguese club. Since Rui Vitória's appointment in 2015, the club has won 3 consecutive league titles, with an all-time record of 88 points from 34 matches, as well as 2 Taça de Portugal, 2 Taça da Liga, and 3 Supertaça Cândido de Oliveira Cups. This season, however, they have suffered a slight dip following the departures of the likes of Gaitán (finally), Ederson, Semedo, Lindelöf, Guedes and Sanches in recent years. Benfica have two major historic rivals on the domestic front: cross-town club Sporting (matches between the two are termed Derby de Lisboa) and FC Porto (matches between the two are termed O Clássico). 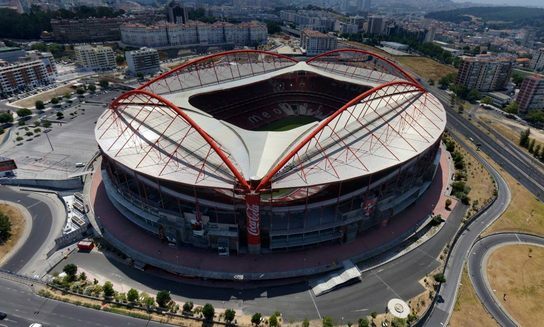 Benfica play their home games at the Estádio da Luz. Why am I seeing AS Roma? Feck is going on with the title? Another 7-1 on the cards then? 0-2, Ronaldo and Rooney to score. I had to check my brain. Are we playing the reserves for Roma and seniors for Benfica? Clean sheet guaranteed here, really can't see Roma scoring against us. I think we'll get back to playing proper football in this game, Benfica are there for the taking and we can wrap up qualification in the double header with them. I think we'll smash them, 3 or 4-1 for us. If Bailly is well enough he may play instead of Smalling. I predict 1-1, but we may get a tight win. Tevez to score in this one. Ah, away to the infamous Portuguese champions AS Roma. I reckon it's going to be a tough game. Roma???? Don't like this group. Want to go back to our old one. Am I missing an obvious joke joke? I think it'll be this as well. Benfica's playing the cup with a 17 year old goalkeeper. Júlio César's injury and Varela seems not trustworthy. Wait, he's still playing ? Yeah, he suffered Basel's 5 goals. But he's been important for Benfica's league wins after the World Cup. If I'm not mistaken, Ederson, now at City, just got his place last season. Yeah, he's been important for Benfica's league wins after the World Cup. If I'm not mistaken, Ederson, now at City, just got his place last season. I have just known that from you now can you imagine ? Just an amazing curiosity (or superstition): Fejsa, Benfica's #6, has won every national league he's been involved since 2008 (with Partizan, Olympiacos, and Benfica). For the love of God, play Rashford and martial ffs. A good chance to all but wrap up qualification in this one. Hope we can continue the very dominant displays from the first two games. Attacking impetus off the bench, if we're drawing in the 60th minute.